Hi Friends! It’s Katie from Made to be a Momma! 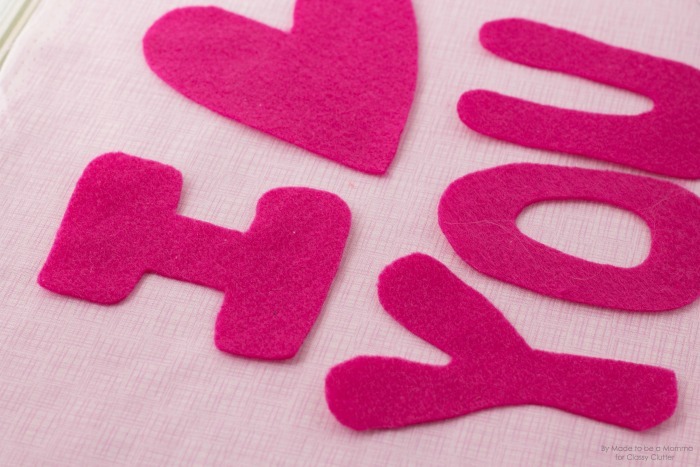 I have a super simple and quick Valentines Day sewing project for you today! 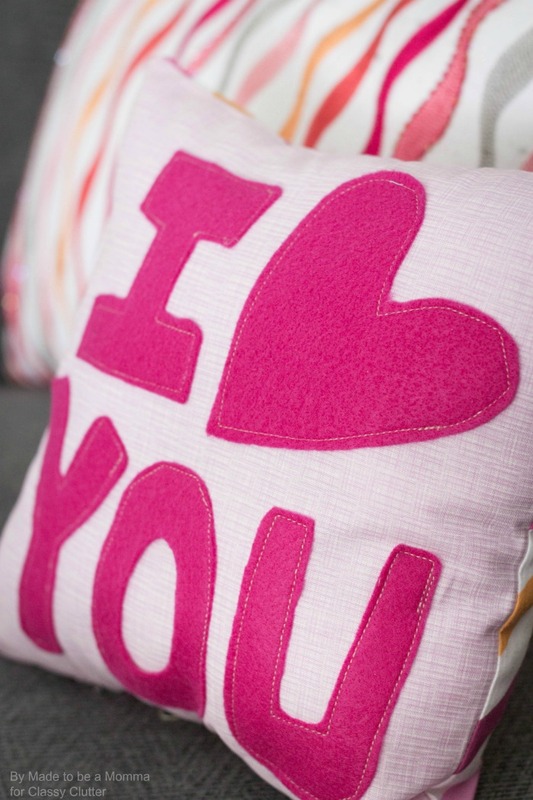 This “I Love You” Pillow is so fun and can be made into any size pillow you want! 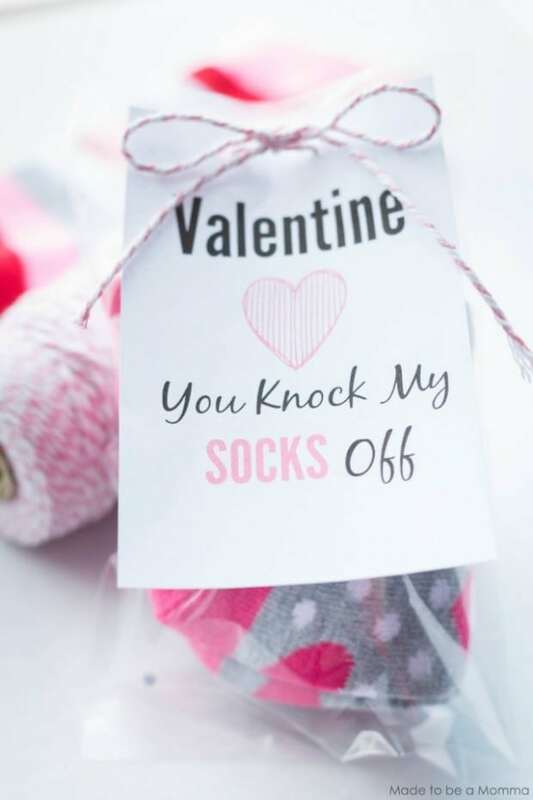 I don’t typically decorate my home for Valentines day besides a few fun pops of color and heart shaped decor in areas of my home. Pillows are one of my favorite ways to change the look of my living room! It’s inexpensive, especially when you make your own, and can change the whole look of a room! Typically, when I am making throw pillow for my living room I will use a pillow form that you can find at your local craft stores but when I am making a little decorative pillow I tend to just stuff it myself with pillow stuffing. So simple! For this pillow you will want to cut out two square pieces of fabric. Mine is roughly 10 in. x 10. in. I cut my squares out of two different colors of fabric because I like to have a contrasting back piece but you can cut it out of the same fabric if you want. I then cut out the letters and shape for my saying that was going on the pillow, which in this case is “I [heart] You”. 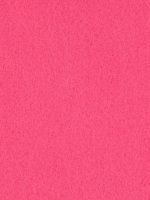 I used a bright fuchsia felt. 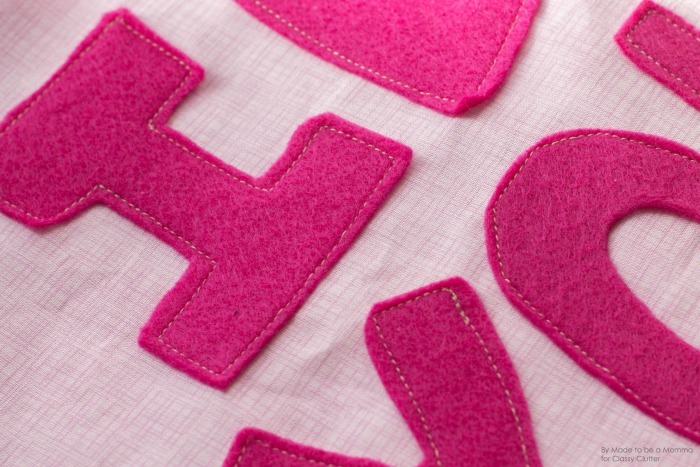 Place your felt letters down in the middle of your fabric and pin in place. Sew around letters with a straight stitch. You can also use a zig zag stitch for a different look. Place your back piece of fabric on top of your fabric with the letters on it. Make sure the pretty sides of the fabric are facing each other. Sew around all 4 sides making sure you leave a small 2 in. 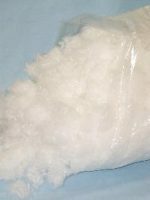 – 3 in. gap for turning. 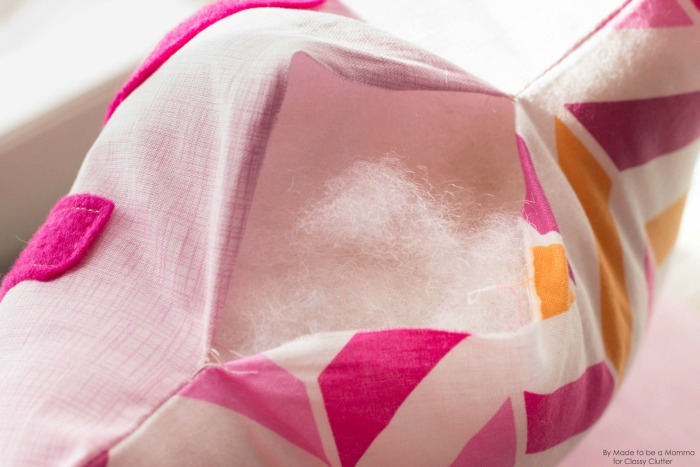 Fill your pillow with pillow stuffing and then sew or hand stitch close. So fun right?! You can do this with so many things! 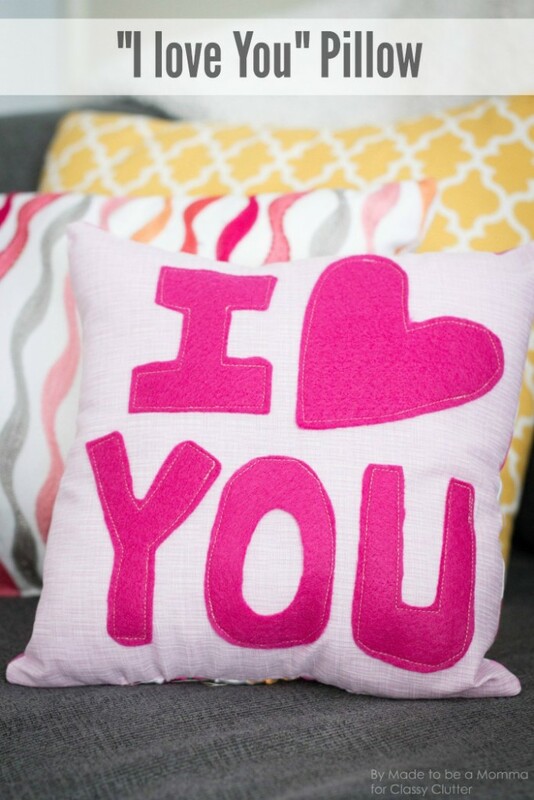 Make your pillow say “HELLO” or “MR. & Mr’s” you can make your pillows bigger or smaller. You can make them a rectangle or heart shaped. Have fun and be creative! love this! 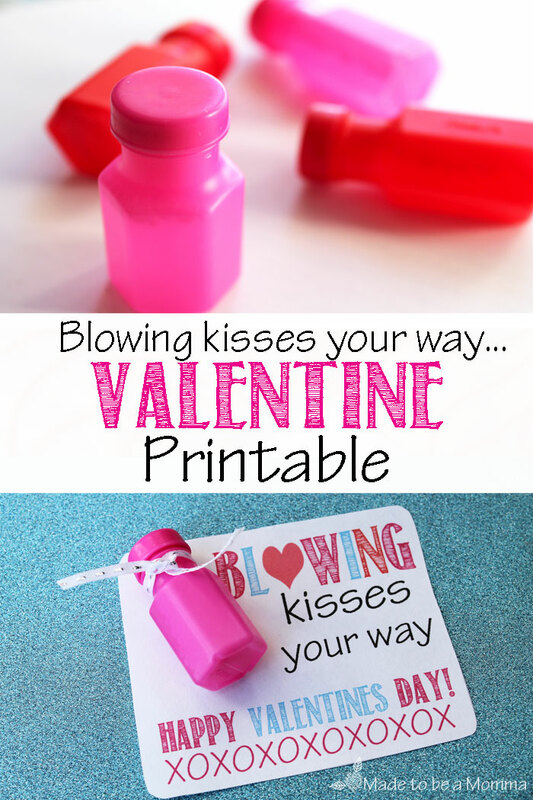 too cute and not just for V day! Beautiful Valentine’s day gift. Thank you for the inspiration. Wow……this is such a cute pillow. Looking forward to making this. Thanks a lot for sharing.